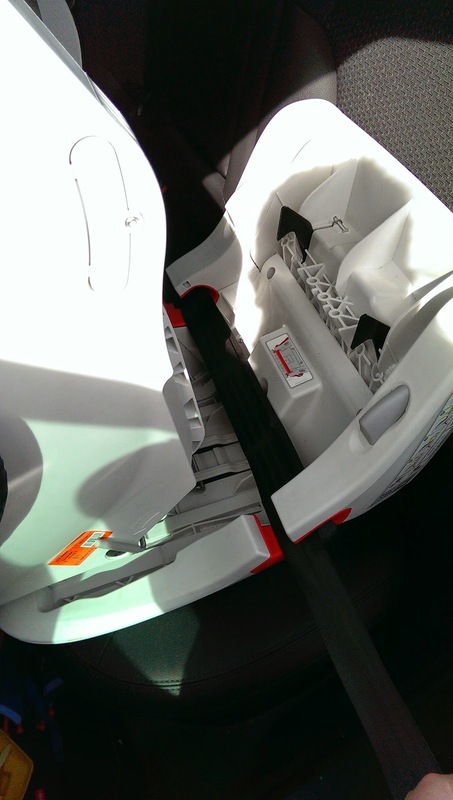 Recently we were given the opportunity to try out the BRITAX King II LS car seat. We have Definately put it through its paces over the last few weeks. After a few problems getting the seat thanks to the courier, Jack couldn't wait to try it out. No sooner had I fetched it out of the box and Jack was sat in it. When I finally convinced Jack to get out I installed it into the car, no time like the present in my eyes. I attempted installation without pre-reading the instructions, luckily there was a quick simple install guide on either side of the seat. Installation is actually pretty simple, you lift the seat from the base using the grey button either side of the seat, place the lap and shoulder parts of the seatbelt through the designated area (red hooks) and click the seatbelt in. You then lower the seat back down in the same way, this then secures the seatbelt in place giving a perfect fit. 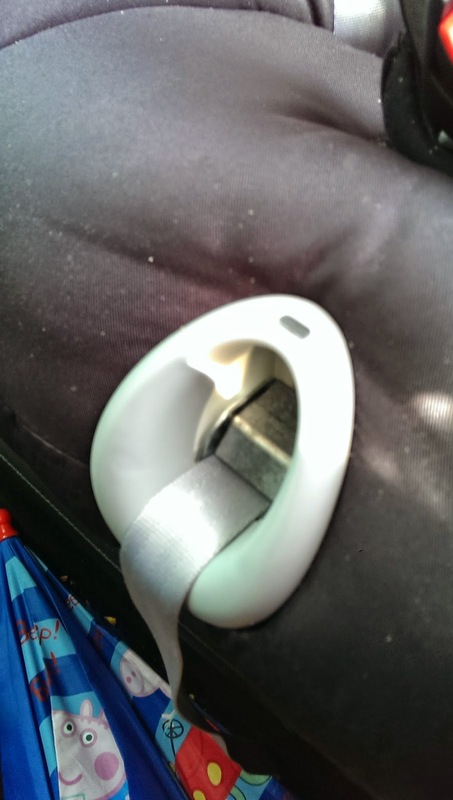 The remaining part of the seatbelt, shoulder part, then simply gets placed behind the BRITAX logo. You are them ready to go. So next we placed Jack in the seat to ensure it was correctly set up. 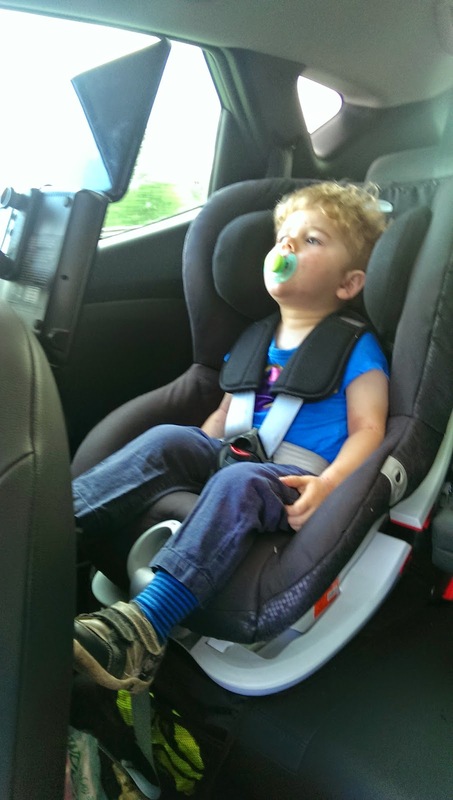 The car seat features an adjustable headrest, this allows your child's head to be in the correct place and is easily adjusted with single-handed movement allowing the seat to grow with your child. Then the harness, this seat features a 5-point safety harness allowing even distribution and ensuring your child's safety. The BRITAX King II LS has a new feature, light and sound harness indicator. It helps you ensure your child's safety for your journey, providing your child is secured in correctly you will hear a click and see a flash. I have found this extremely useful, Jack is a monkey for moving around a lot when placing him in his seat so not allowing us to get correct tension on his belt, however all change since using the King II LS, no more mommy worries. The weekend after receiving the car seat we embarked on a journey to Scotland and spent pretty much the entire day in the car. 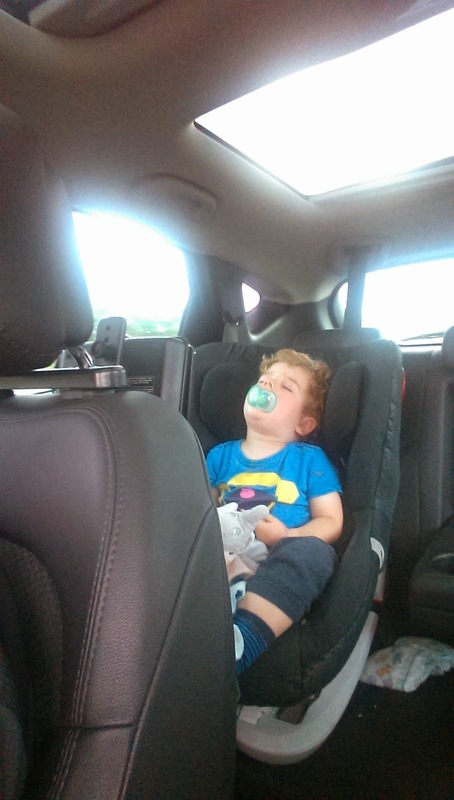 Jack however wasn't phased by this andlooked extremely comfortable the entire journey. The seat is quite high up so he was able to watch the other cars pass by as well as look at all of the scenery. The seat has 4 recline positions which is perfect for a happy toddler. The cover is also machine washable on a 30c wash. I've washed, dried and put the covers back on this seat with no problems involved. I feel this is a fantastic group 1 car seat and one which we will definitely get lots of use out of. The seat provides plenty of room for a growing child. The BRITAX King II LS is exclusive to Kiddicare and has an RRP of £165 and has free delivery. Please Note: I received no financial compensation for this post, I received the car seat free of charge as part of the Britax Mumbassador program, all opinions and wordings are my own.